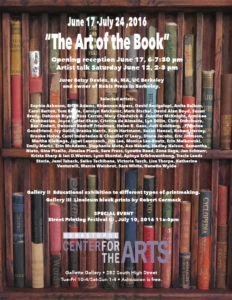 “The Art of the Book” at the Sebastopol Center for the Arts. 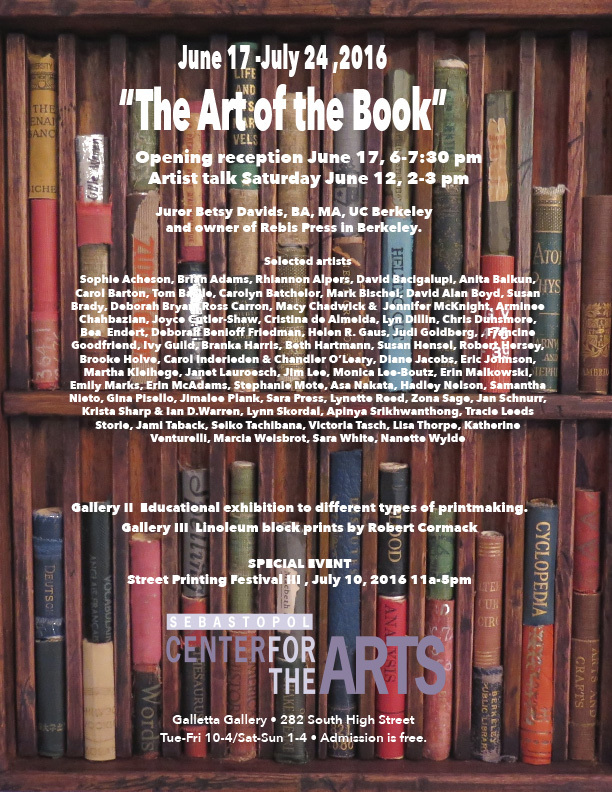 “2016 Slice- A Juried Cross-section of Regional Art” at the Pence Gallery, Davis, CA. “Pattern Paintings” at the Artspace1616 Gallery, Sacramento, CA.